Remember doing good is not doing great. For week seven we got free choice so we could write about anything, so today I am going to write about my favourite sport field hockey. 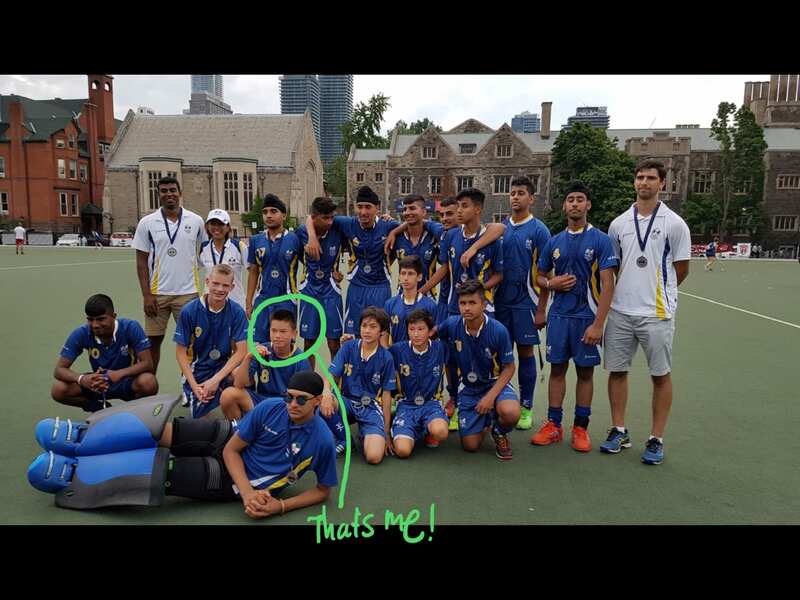 I have been playing field hockey since I was seven and have loved the sport through all the years. Right now I play for team U15 BC and West Van Field Hockey Club(WVFHC). Last year in the field hockey BC program I was lucky enough to go to nationals in Toronto. I had an amazing time in Toronto with my team, it was so cool playing against people from all over canada. We ended up coming second, but we were happy none the less. Here is a picture of my team in Toronto. I also played in a u19 tournament down in the United States but that is a story for another time. 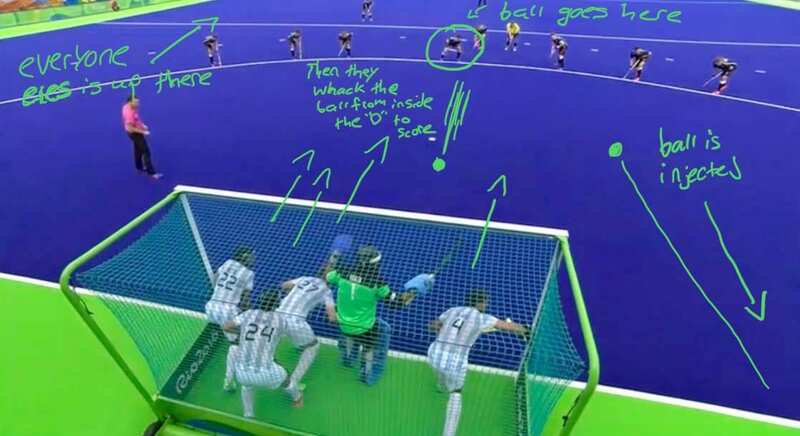 Now I will explain some of the things that set field hockey apart from some other sports. If you do play field hockey you might understand some of these rules already. Number one: what sets field hockey and normal hockey apart is that in normal hockey there is a lot of physical contact, but in field hockey there is very little contact at all because its not a physical sports. Number two: A very important rule in field hockey is that you can’t use your feet at all. When the ball hits your foot it is considered a foul and the other team gets the ball. Number three: is that only shots from inside the “D” are considered goals. If you shot the ball outside of the “D” then it would not count and the other team would get the ball. Here is and example of some fouls. 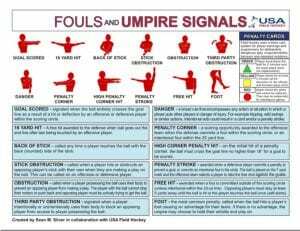 There is two other fouls that may not have been mentioned. The first being using the back of the field hockey stick. Unlike normal hockey the back side of the field hockey stick is not to be used at all. Instead you have to rotate your hands to allow you to only dribble with the front of the stick. The last foul is call a short corner. This only happens when a foul happens in either your “D” or the other teams “D”. 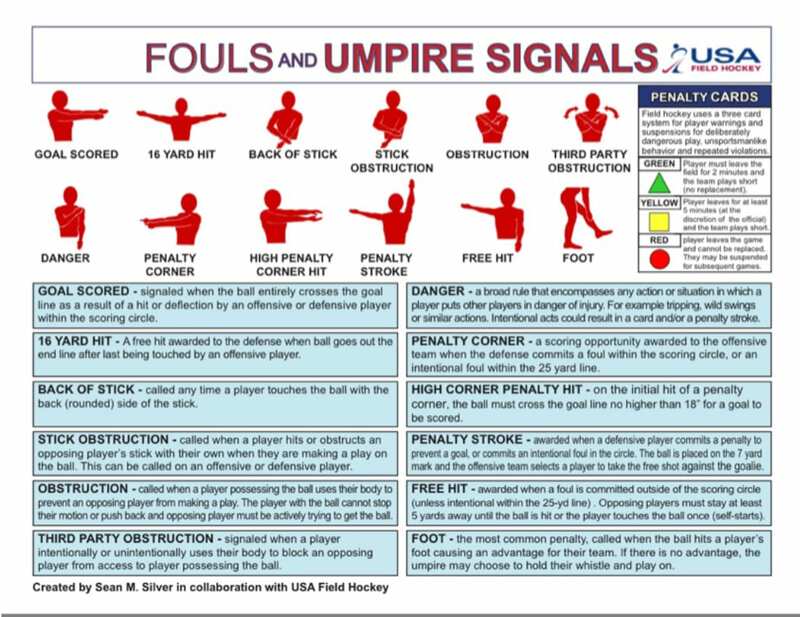 These fouls can include: hacking, foot, physical contact, backside of the stick, height sticking, dangerous ball and obstruction. When one of these fouls happens a short corner is called. The team who caused the foul get to choose four players plus the goalie to stay in the net, then all the other player that team have to wait at the half line until the corner is called. 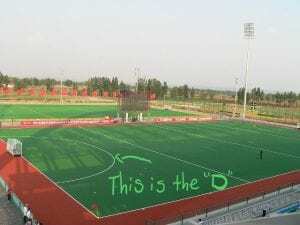 The other team gets to send as many players as they want to the top of the “D” where then one of those players will get to “Inject” the ball to one of the players at the top of the “D” were they would then bring the ball into the “D” to try and score by shooting the ball. This may sound very confusing but when you play the game it makes a lot more sense. Those were just some of the aspects of field hockey. I hoped you enjoyed it! Hi Sai, thanks for commenting. I am usually a hitter and a dragged on short corners. I think its great that you have been playing since you where two. What’s you position on short corners? Hi Noah my name is Mason. 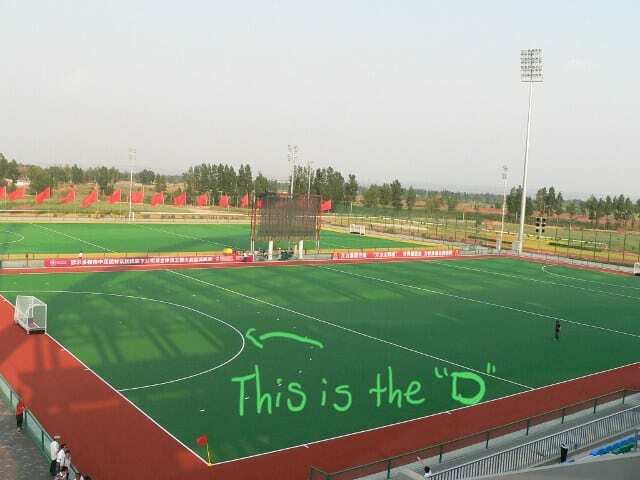 I do not play feild hockey but the way you describe it it sounds fun. I think it is awesome that you get to play field hockey against a lot of other teams in Canada. I live in America. So I hhave to ask, where did you play in America? if you get a chance, come visit my blog at 2024maa.edublogs.org. Hi Manson, thanks for commenting. I actually don’t play in America because I live in Canada. I will definitely check your blog out. You have obviously enjoyed the free choice challenge for your blog. I think your post was well-structured and very informative. I loved you included some background information about yourself as a field hockey player. This reveals the way you are connected to this sport. I also liked your explanation of the rules for this game and the differences between field hockey and normal hockey. One more thing I also found interesting was that you included some annotated images which made your post more attractive! Great job! Keep up blogging!!! Blog commenting criteria for my site. Copyright © 2019 Thy blog of Noah.